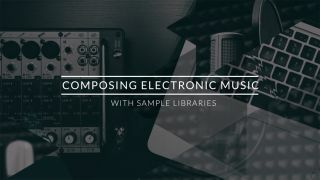 In this short video series, we show you how to compose electronic music with sample libraries, but not just any old libraries. These are the renowned sample-based virtual instruments from the indomitable Spitfire Audio. In the three episodes below you will find out how sample-powered synth-like sequences, melodic elements and a fine blend of electronic and acoustic sounds can provide a new creative direction to your productions. Immerse yourself in biting, analogue-style, percussive synth sequences and see how they provide drama and tension to really push a track forward. Explore the lush richness of melodic instruments with lead-lines sourced from felt grand pianos and other instruments. The final chapter in the series focuses on creating a hybrid drum world. A place where electronic sounds can mix with huge acoustic drum sources to produce drama and extra power in the track. For more information on the libraries and instruments available, head on over to the Spitfire Audio website now.